Washington, D.C., August 12, 2011 – Fifty years ago, when leaders of the former East Germany (German Democratic Republic) implemented their dramatic decision to seal off East Berlin from the western part of the city, senior Kennedy administration officials publicly condemned them. Nevertheless, those same officials, including Secretary of State Dean Rusk, secretly saw the Wall as potentially contributing to the stability of East Germany and thereby easing the festering crisis over West Berlin. Indeed, U.S. ambassador to the Soviet Union Llewellyn Thompson had written that “both we and West Germans consider it to our long-range advantage that potential refugees remain [in] East Germany.” This surprising viewpoint from Thompson and Rusk, among others, is one of a number of points of interest in declassified documents posted today by the National Security Archive. The previously secret documents also reveal new information about one of the remaining unknowns from the period—how well (or poorly) U.S. intelligence agencies carried out their responsibility. In one record, President John F. Kennedy’s frustration shows through over the fact that he did not receive adequate advance warning of the East German move. Some of the documents posted today were released by the CIA through its CREST database at the National Archives, College Park. As a few of them are heavily excised, the National Security Archive has requested further declassification review. Other relevant documents–CIA daily reports to President Kennedy during the Wall crisis–remain classified because of agency insistence that sources and methods are at risk. The Archive has appealed these denials. On 13 August 1961, East German security officials imposed harsh controls at the East-West borders in Berlin designed to stop the flow of thousands of refugees, mostly fleeing through West Berlin. Implausibly justifying the measures as a defense against West German aggression, the fundamental concern was the threat of economic disaster for the former German Democratic Republic (GDR). 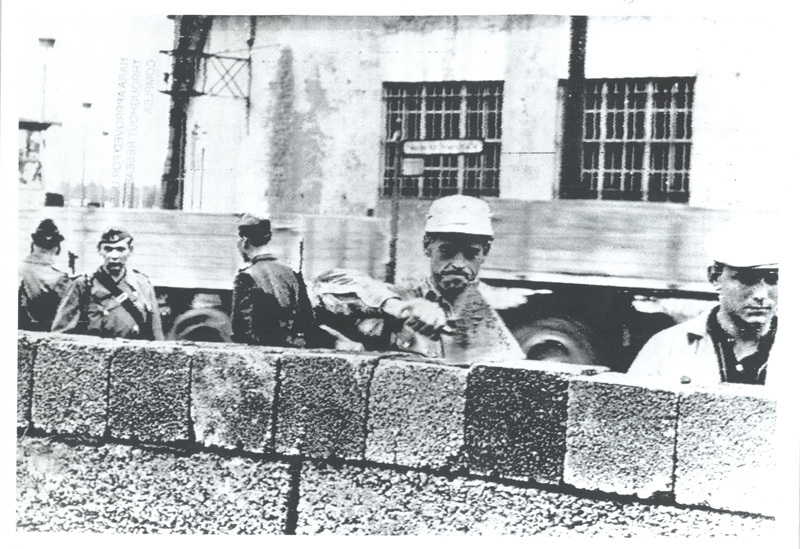 To stop its citizens from escaping, the GDR put up barbed-wire fences which soon turned into concrete barriers. 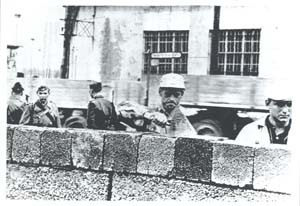 A wall was being constructed (although it became a taboo in the GDR to call it a “Wall” (Note 1)). Declassified documents posted today by the National Security Archive shed light on how U.S. diplomats and intelligence analysts understood the East German refugee crisis and the sector border closings. The decision taken in early July 1961 by Soviet Premier Nikita Khrushchev and East German president Walter Ulbricht to close the border was a deep secret. While no one on the U.S. side predicted a “wall”, diplomats and intelligence analysts saw the possibility of harsh steps to stop the refugee traffic. Nevertheless, East Germany’s draconian moves to close the sector borders came as a surprise to President Kennedy. Declassified documents shed light on what some saw as an intelligence failure or at least a failure by intelligence agencies to warn President Kennedy and his advisers of the possibility of GDR action. According to a State Department report, the CIA Station in West Berlin attributed the GDR refugee crisis to the larger crisis over West Berlin. East German citizens worried that if Khrushchev and Ulbricht signed a treaty separating East from West Berlin, their “last chance to escape” would end. During the weeks before the Wall crisis, U.S. Ambassador to the Soviet Union Llewellyn Thompson observed rather pitilessly that “except for the danger of building up pressure for explosion [in the GDR] both we and West Germans consider it to our long-range advantage that potential refugees remain [in] East Germany.” The implication was that the refugee crisis was destabilizing East Germany and that if East Germans stayed home this could ease Soviet pressure on West Berlin. The CIA’s Office of Current Intelligence reported on 10 August that the regime is considering “harsher measures to reduce the flow” of refugees, although it did not list any possibilities. In a speech on 10 August, Ulbricht declared that “We have discussed the (refugee) matter with our Soviet friends and with representatives of the Warsaw Pact states and we have agreed that the time has come when one must say ‘so far and no further. '” Several months later, the U.S. President’s Foreign Intelligence Advisory Board (PFIAB) saw this statement as the “best indicator” that action was about to take place. Allied inaction and the shock of the border closing caused a significant morale problem in Germany, especially West Berlin, which the Kennedy administration tried to remedy. Within a few days, a U.S. Army combat brigade arrived in West Berlin and so did Vice President Lyndon Johnson. As noted, one of the few remaining puzzles about the U.S. reaction to the Wall concerns the performance of U.S. intelligence during the lead-up to the sector border closing. The CIA provided Kennedy with a daily report, the “President’s Intelligence Checklist” [PICL] (the forerunner to the President’s Daily Brief), but what it had sent Kennedy during the previous several days remains a secret. So far the CIA has refused to declassify any of the PICLS produced during 10-14 August 1961 (and a PFIAB report on the CIA’s conduct remains heavily excised). But the National Security Archive’s mandatory review appeal for the PICLS is before the Interagency Security Classification Appeals Panel which may decide that CIA secrecy claims are inflated and declassify information. The Khrushchev-Ulbricht decision was closely held, but the options available to Communist leaders could be deduced. Looking closely at developments in East Germany, John C. Ausland saw a highly unstable situation, with the refugee flow stemming directly, according to the CIA, from Moscow’s tough policy on West Berlin: What inspired East Germans to flee was their apprehension that if the Soviets signed a treaty with the GDR, a “last chance to escape” would end. While the odds for an internal revolt in East Germany were low at the moment, if the Ulbricht regime took harsh measures to stop the flow of refugees, a “deep deterioration” and a domestic explosion could transpire. Ausland commented on a recent comment by U.S. Ambassador to West Germany John Dowling that if another revolt in East Germany broke out, the United States should not “stay on the sidelines” as it had during the 1953 uprising. (Note 4) Noting that the U.S. did not want to see another revolt in East Germany as in 1953 at “this time,” Ausland also argued that Washington did it want to exacerbate the situation. He may have been concerned about the anticipated violence of Soviet and East German repression and the risk that an uprising in East Germany could lead to wider conflict, even East-West warfare, in Central Europe. Yet if Moscow and East Berlin took action to halt the flow of refugees, Washington should “help advertise it to the world.” The U.S. could consider economic countermeasures if the GDR clamped down on the borders to stop refugees. Responding to the Department’s cable (document 2) on the East German refugee crisis, West Berlin mission chief Allen Lightner did not pick up on the State Department’s references to the possibility of security measures to close the sector borders. Instead, he suggested that continued refugee flow or adverse East German internal reaction to an East German-Soviet peace treaty might hold back Khrushchev from initiating a “showdown” over West Berlin. Believing that more was needed than “advertising the facts,” Lightner suggested “intensifying doubts and fears” among Soviet leaders about the possibility of an East German uprising through a program of overt and covert political and diplomatic operations. Noting that so far West Germany had not encouraged refugees to head West, but had actually discouraged them (possibly to minimize East-West tensions and perhaps to minimize the costs of absorbing the refugees), Lightner suggested that Bonn and Washington could threaten to reverse that policy. Commenting on the State Department cable (document 2), Ambassador Thompson argued that one of the chief Soviet objectives in the Berlin crisis was the “cessation of refugee flow” from East Germany. Noting that both Washington and Bonn believed it “to our long-range advantage that potential refugees remain in East Germany” (probably to reduce Soviet pressure on West Berlin), Thompson nevertheless conceded that unilateral GDR action would have “many advantages for us” by demonstrating the weaknesses of the Soviet and East German position. He advised against giving the impression that Washington would take “strong countermeasures” if the GDR “closed the hatch” to avoid possible threats to Western access to Berlin. On July 30, 1961, Chairman of the Senate Foreign Relations Committee Sen. J. William Fulbright (D-Ark) made a television statement suggesting that closing the Berlin escape hatch could be a subject for negotiations over West Berlin. He said further that the “truth of the matter is that …the Russians have the power to close it in any case. I mean you are not giving up very much because I believe that next week if they chose to close their borders, they could without violating any treaty.” Further, the East Germans “have a right to close their borders.” (Note 5) As the U.S. Embassy in Bonn reported, Fulbright’s comments created a furor in West Germany and West Berlin. 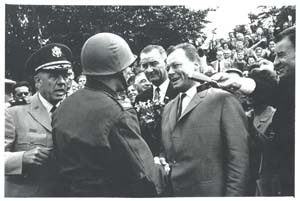 For example, at first West Berlin Mayor Willy Brandt could not believe that Fulbright had said it. Certainly, East German and Soviet authorities must have seen it as a signal that the West would tolerate the closing of the sector borders. The U.S. mission in West Berlin provided a full account of the ins and outs of the “second Berlin access problem,” the right of entry into West Berlin of the 16 million residents of East Germany and East Berlin. 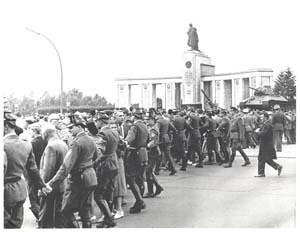 While the “first Berlin access problem”—Allied and West German access to West Berlin—was in a “pre-crisis” or “potential crisis stage,” the “second access problem” was “nearer to a ‘crisis’ stage as a result of recent repressive actions by the Soviet Zone regime.” With over 1,100 refugees arriving in West Berlin and West Germany daily, a rate which had “unquestionably disastrous” implications for GDR, East German security police were tightening up controls on roads, railroads, commuter trains, and the Berlin subway. Receiving close scrutiny by police and courts were younger men and “border crossers,” East Berliners who worked in West Berlin and were fleeing in larger numbers. Sent by diplomatic pouch, this report did not reach the State Department Berlin Desk until 14 August, the day after the sector border closing. Early in the morning of 13 August 1961, the East German regime enacted decrees mandating “drastic control measures” at the sector borders to prevent East Germans from going into West Berlin. The East Germans had planned to take this action early on a Sunday morning to catch East and West Berliners by surprise, when most were distracted by weekend holiday plans or were otherwise not up and about. 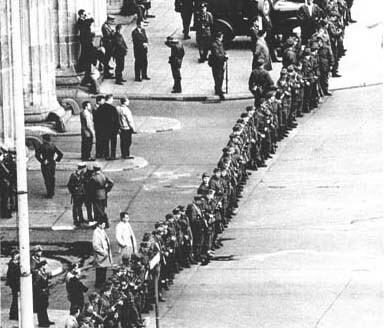 (Note 8) Panic in East Berlin and shock in West Berlin and elsewhere quickly followed the border closing. The mission provided the State Department with an update of the controls over the East German population. Subway cars heading into the West failed to show up and control measures were being implemented “everywhere” with East German police stringing up barbed wire at border points. The flow of refugees had not stopped entirely, because people were fleeing through the canals and fields. The mission interpreted Soviet troop deployments on the periphery of Berlin as a “show of strength” to “intimidate” East Berliners and disabuse them of any notion of initiating resistance as in 1953. 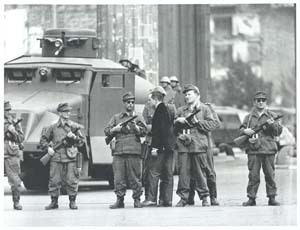 So far East German officials had not interfered with the movement of Western observers. The CIA kept the White House informed of current developments in Berlin with memoranda like this, but President Kennedy was not satisfied that he had been given adequate warning of the possibility of imminent GDR action to close the sector borders. Apparently, when the news reached Kennedy at Hyannisport at about 1 p.m., he reacted with some irritation, “How come we didn’t know anything about this?” (Note 11) As noted earlier, what the CIA had reported to President Kennedy in the PICL during the days before the Wall Crisis remains classified. CIA had conflicting reports, but the indications were that the East Germans had extended the crackdown to West Berliners and West Germans, who now would be required to get a permit if they wished to enter (or drive into) East Berlin. This report summarized the status of border controls, refugee movements, communications, Soviet and Eastern bloc positions, and reactions in West Berlin and West Germany. 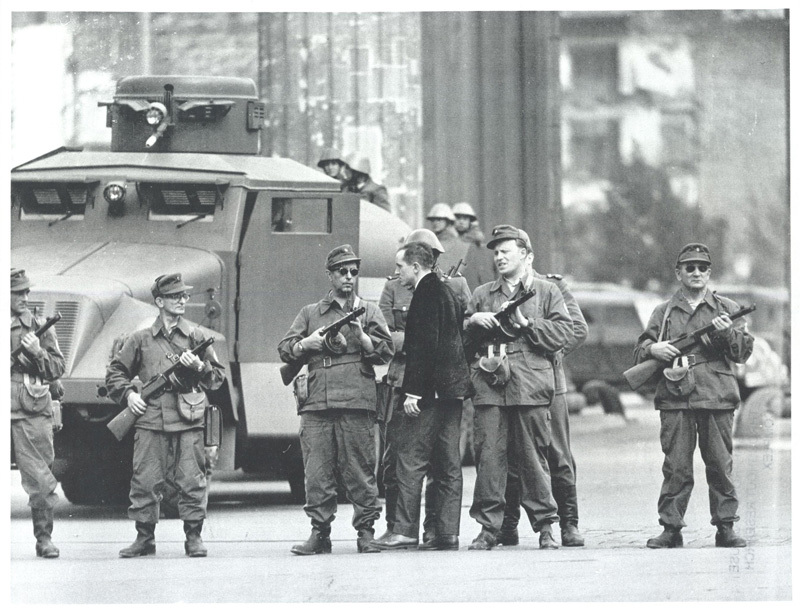 The report refers to concerns about a “crisis of confidence” in West Berlin, where the population is becoming “increasingly restive over the lack of prompt Western countermeasures.”` The unrest depicted in photo 2 conveys some of the agitation. This CIA report provides an update on the new GDR controls at the sector border, the construction of concrete barriers to replace barbed-wire fences, tightened regulation of passage by West Berliners and West Germans into East Berlin, interference with Allied military traffic into the East, and security measures. Despite the controls, “significant” numbers were still escaping from the East. The morale problem cited in earlier reports and cables had become less severe owing to the deployment of a U.S. Army battle group and a visit by Vice President Lyndon Johnson. While the Soviets had protested the visits by Johnson and Chancellor Adenauer and accused the West of “provocative” activities” in Berlin, they “sought to minimize the prospect of an imminent crisis,” by playing down immediate threats to Western access to the city. President Kennedy’s feeling that he was not adequately warned about the imminent East German action and a coup in Syria on 28 September led him to ask the President’s Foreign Intelligence Advisory Board (PFIAB) for a report on what “advance information” the intelligence agencies had before the events and “what lessons might be learned.” According to PFIAB, in both incidents “indications of imminent significant developments were apparently lost sight of in the mass of intelligence reports.” With respect to Berlin, no one knew when the “Berlin Wall” was going up, but “our intelligence collectors did obtain information which pointed to the possible imminence of drastic action by the East German regime.” The problem was the intelligence agencies had not provided top policymakers with “adequate and timely appraisals of the advance information which had been collected.” Case studies of the incidents are heavily excised, but PFIAB declared that a comment by Ulbricht in a public speech on 10 August was the “best indicator” of imminent action. It would be interesting to know how the CIA responded to the PFIAB appraisal, but such information is not available. During the late 1960s, Department of State historians produced a major study of the 1958-1962 Berlin Crisis, although they did not get the opportunity to complete it. This excerpt provides a useful overview of the refugee crisis and the Kennedy administration’s policy response, including countermeasures and steps to raise morale in West Berlin. Many of the documents cited and summarized were later published in the Department’s Foreign Relations of the United States volumes on the Berlin Crisis. 1. Patrick Major, Behind the Berlin Wall: East Germany and the Frontiers of Power (Oxford,: Oxford University Press, 2010), 143. The official term was “Anti-Fascist Defense Rampart” or antifaschistischer Shutzwall). 3. Harrison, Driving the Soviets Up the Wall. 184-187. 4. For a full account of the 1953 East German revolt, see Christian F. Ostermann, Uprising in East Germany 1953: The Cold War, the German Question, and the First Major Upheaval behind the Iron Curtain (Budapest; New York : Central European University Press, 2001). 5. “Senator’s Remarks on TV, “The New York Times, 3 August 1961. 6. Harrison, Driving the Soviets Up the Wall, 188-189. 7. Apparently a few intelligence officers in West Berlin predicted a “Wall”. 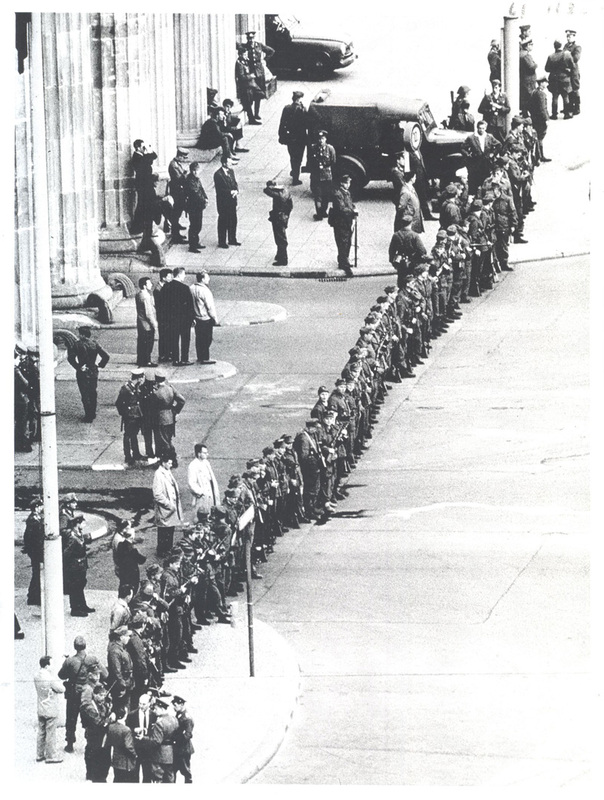 See Peter Wyden, Wall: Inside Story of Divided Berlin (New York: Simon & Shuster, 1989), at 91-93. 10. See for example, Lawrence Freedman, Kennedy’s Wars: Berlin, Cuba, Laos, and Vietnam (New York: Oxford, 2000), 79-91, and Smyser, Kennedy and the Berlin Wall. 11. Peter Wyden, Wall: Inside Story of Divided Berlin (New York: Simon & Shuster, 1989), 26. 12. Martin Hillenbrand, Fragments of Our Time: Memoirs of a Diplomat (Athens: University of Georgia, 1998), 190.